With over 20 years of experience, the professionals at Chandler & Knowles provide CPA services to Plano, TX individuals, families and businesses. Our dedicated team of knowledgeable CPAs can help residents of Plano, TX with tax preparation, estate planning, and financial planning to create a foundation for future generations. Chandler & Knowles consultants for Plano, TX businesses can help design and implement advanced tax planning strategies that minimize penalties and shields assets from the IRS. Chandler & Knowles is a full-service CPA firm that specializes in providing financial planning, risk assessment, tax preparation and planning, and business consulting services. 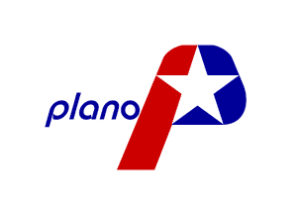 If you are looking for committed accountants in Plano, TX for your family or business, our team is ready to help! At Chandler & Knowles CPAs, your financial success is our goal, and we can help you identify threats and opportunities through proven methodologies that can illustrate your financial outlook. Our professionals at Chandler & Knowles CPAs offer financial planning services for businesses and individuals. Through the use of advanced models, such as LEAP, we are able to provide our clients with a clearer understanding of how to make more informed financial decisions and set a plan for a successful financial future in and out of the office. When assessing risk our consultants take a macro-management approach for families and businesses. We’ll help provide you with a deeper look into your current assets and financials combined so you can make smarter decisions when considering which insurance policies are best for your needs. Get a CPA with the experience you require to assist you in preparing your individual, state, or business taxes. The dedicated team at Chandler & Knowles CPAs works hard to reduce your taxes and avoid penalties as well as developing a personalized tax strategy with a focus on your immediate and future financial goals. Find financial success in your business through a wide variety of consulting services tailored to your specific needs. Our professional consultants can provide you with financial forecasts, cash flow analysis, structuring services and more to give your business a better financial outlook for the future. At Chandler & Knowles we work hard to help our Plano, TX clients receive the best CPA services available. Find the solution to your biggest financial challenges by learning more about our services. Start receiving your CPA services from a dedicated team at Chandler & Knowles. To learn more about how we provide professional CPA services to Plano, TX residents and businesses contact us today by calling us at (817) 430-3000 or by filling out our online form and schedule your appointment at either of our two office locations in Addison or Flower Mound.